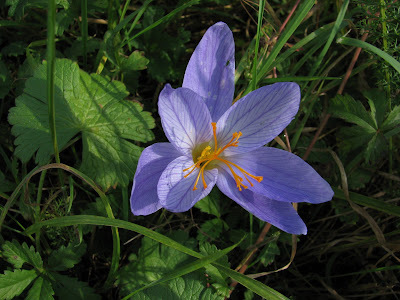 BRANCH (Biodiversity Requires Adaptation in North West Europe under a CHanging cimate) led by Natural England have just published a report Planning for biodiversity as climate changes. The authors say "spatial planners are key to providing opportunities for biodiversity to adapt to climate change. But in North West Europe, many of the current policies and planning systems will not meet this challenge. Action is needed now and it must happen at all scales, from the international to the local site level." At the heart of the report are three case studies of habitat corridors and habitat fragmentation in Hampshire, Kent and The Netherlands. The report is essential reading for those who want to keep up with current thinking on biodiversity and climate change and on what we should be trying to do about it. 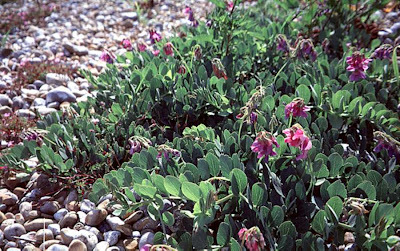 The picture is of sea-pea (Lathyrus japonicus), a plant of coastal shingle, at Rye Harbour. 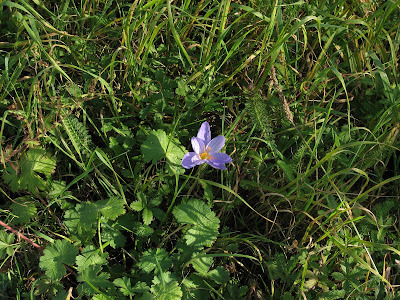 This plant could, according to the report, lose substantial suitable climate space by the end of the century and already appears to be declining at Rye.